Even if you’re not in any pain or currently rehabbing an injury, massage therapy can help your muscles recover from exercise, prevent future injury, and enhance your athletic performance.  One of the certified massage therapists at NYPT Health and Rehab in Midtown Manhattan’s Flatiron District of New York City can work with you to achieve your body’s highest potential through sports massage or trigger point massage. To learn more about how massage therapy can help you, call NYPT Health and Rehab or schedule an appointment online today. When done on a regular basis, massage therapy may also help prevent future injuries. Research shows that massage therapy reduces inflammation and promotes the growth of cellular mitochondria in your skeletal muscle. Mitochondria are parts of your cells that provide your muscles with energy and prevent fatigue. In addition to enhancing athletic performance, massage therapy can help reduce chronic pain and improve range of motion in a variety of different orthopedic conditions. Athletes can benefit from regular sports massages about once per month to maintain soft tissue health and decrease the chances of an injury. Massage can also help prevent delayed onset muscle soreness (DOMS) after a race or other major sports event. DOMS tends to develop 12-24 hours after exercise, so you may want to schedule a light massage before that timeframe. If you’re new to massage, make sure to schedule your appointment more than 48 hours before a big game, race, or other activity. It’s normal to feel sore a couple of days after a sports massage. This soreness may reveal areas that need more attention at your next appointment. If you’ve ever rubbed your neck and felt a hard lump, you’ve found a trigger point. Trigger points, also known as muscle knots, can be severe sources of pain and tension. Sometimes, this pain transfers to other parts of your body. The certified massage therapists at NYPT are experts in trigger point massage and can release the muscle knots that cause you pain. To find out more about how massage therapy can help you recover from injury, relieve pain, or boost your exercise routine, call NYPT Health and Rehab or schedule an appointment using the online booking tool today.